Needs work on roof(started) and new carpet, cleaned up and it's ready to go, lot's of potential. Slant 6 Dodge truck engine with front wheel drive and power steering, runs great and have the original manuals. 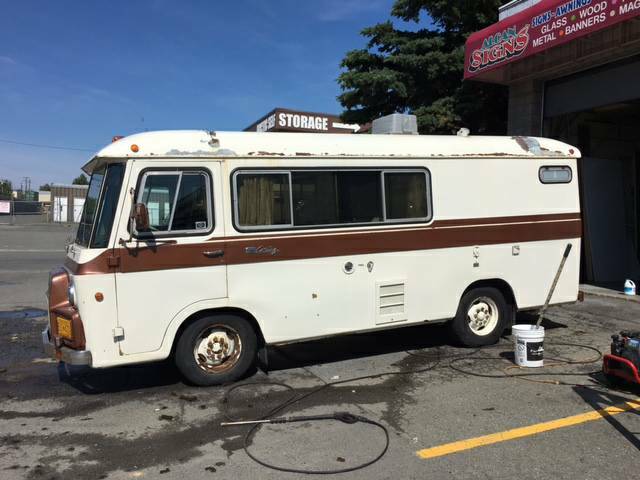 Great project for a very rare rv or a good start on a very rare food truck. Factory roof top carrier and ladder (not in photos). Hard to find, deluxe interior, full kitchen, bath w/ shower, window covers, bed extension, sleeps 4, one piece 16" wheels w/ good rubber, 302 Ford V-8, 4 spd. transmission, front wheel drive w/ power steering. Needs some work but a lot to work with. Have all the original manuals and paper work. Converting a 130wb/MR Transit right now. 10.5' to work with...ain't much. 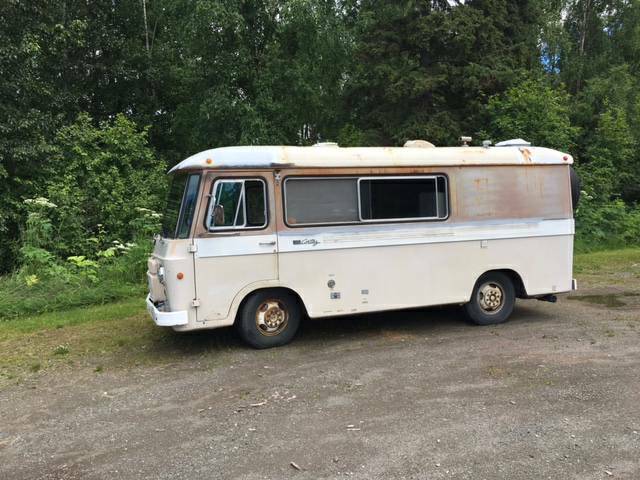 Fly to Alaska, buy this, drive to middle of nowhere, recreate final scenes of "Into the Wild". Who wouldn't enjoy that? Sign me up for eating rancid moose meat and poisonous berries, then dying in the cold, cold loneliness. Sounds great! A mobile meth lab candidate.